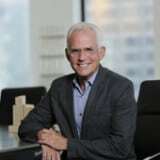 An architect and sculptor, Ted Strand oversees SCB’s Chicago and San Francisco marketing, public relations, and business development initiatives. In addition to architecture and planning project involvement, he is responsible for internal and external team formation and pursuit strategies for all SCB market sectors. His 30-plus years of large-scale, mixed-use, urban planning, and aviation project experience across the United States, Asia, Europe, and the Middle East provides him with a unique understanding of commercial and institutional markets and regional influences. Before joining SCB in 2001, Ted previously lived and practiced in Hong Kong and Boston, Massachusetts. After receiving his Bachelors and Masters degrees from the University of Illinois at Urbana-Champaign, he was a design instructor for UIUC’s Versailles, France-based program at the Ecoles des Beaux Artes. He is a member of the American Institute of Architects, National Sculpture Society, and the Urban Land institute. He is a past board member of the Cathedral Shelter of Chicago and Chicago-Shanghai Sister Cities Program.